Sir Martin Sorrell's new acquisition vehicle S4 Capital and his former employer WPP are reported to be going 'head to head' in an attempt to buy creative digital production company MediaMonks. The deal is said to be valued at around £265m. 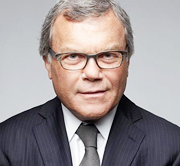 After quitting WPP in April amid claims of possible misuse of company assets and 'personal misconduct', Sorrell announced he would be investing £40m of his own money in shell company Derriston Capital. His outlay added to an £11m equity funding round and £150m more pledged by a range of institutional investors. The funds have been set aside to support the firm's plan to build a multi-national communication services business focused on 'technology, data and content', initially through acquisitions. Derriston has since been renamed S4 Capital. S4 is hoping to make MediaMonks its first acquisition, while WPP and Accenture are among several other companies also bidding in the deal, first reported by Sky News. Sorrell has been able to set up the new venture so soon after leaving WPP, because the firm failed to include a non-compete clause in his contract, or hold him to the standard twelve-month notice period. Web sites: www.derristoncapital.co.uk , www.wpp.com and www.mediamonks.com .